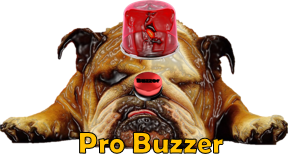 ProBuzzer: How Palm Islands of Dubai were made? 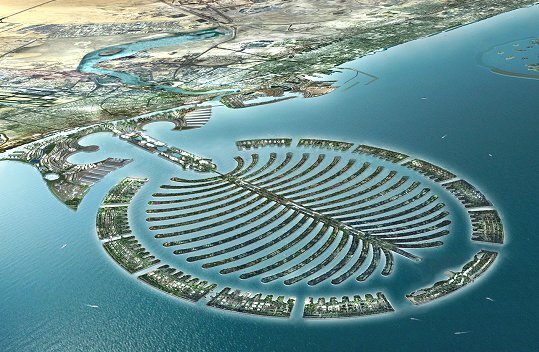 How Palm Islands of Dubai were made? The Palm Islands are artificial peninsulas constructed of sand dredged from the bottom of the Persian Gulf. 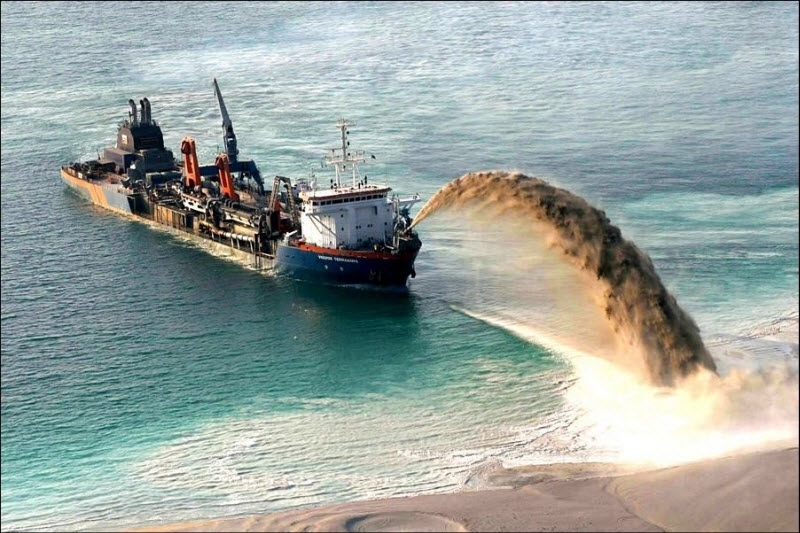 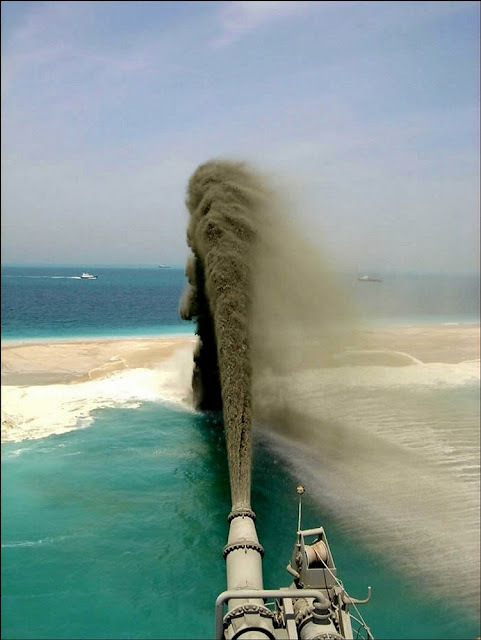 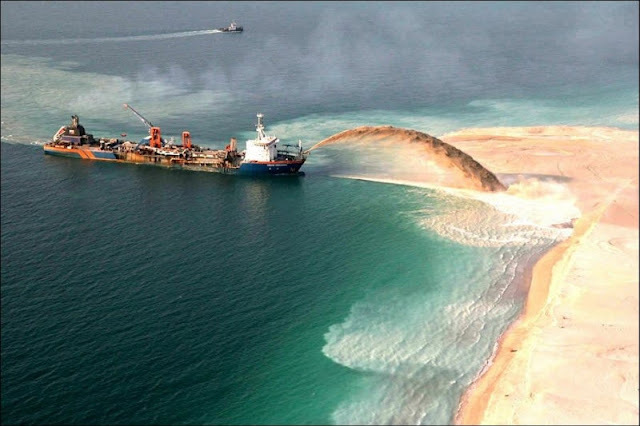 The sand is sprayed by the dredging ships, which are guided by DGPS, onto the required area in a process known as rainbowing because of the arcs in the air when the sand is sprayed. The outer edge of each Palm's encircling crescent is a large rock breakwater. 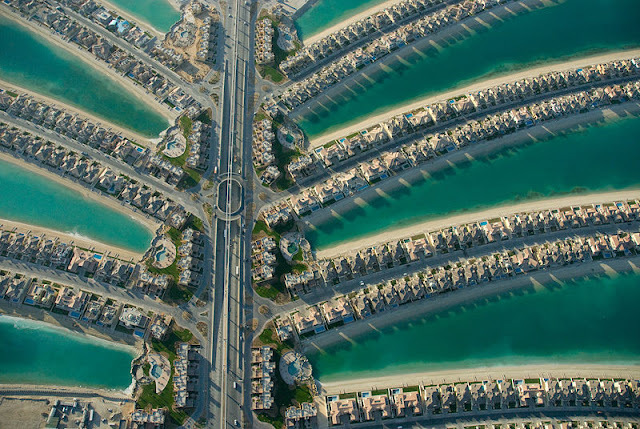 The breakwater of the Palm Jumeirah has over seven million tons of rock. 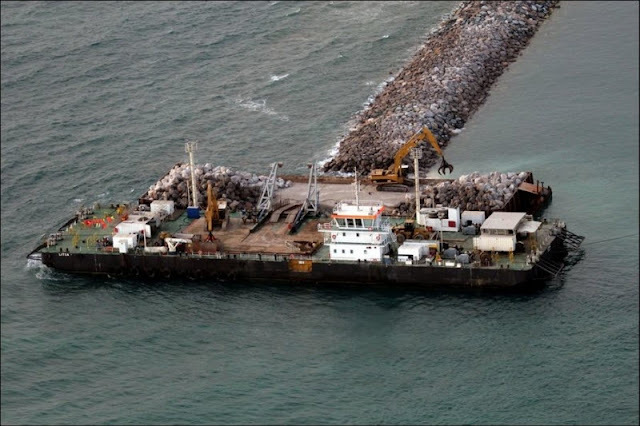 Each rock was placed individually by a crane, signed off by a diver and given a GPS coordinate. 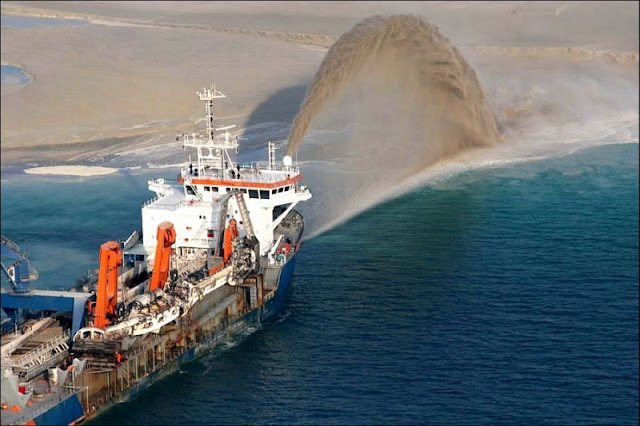 The work started on the Palm Jebel Ali in 2002 and had finished by the end of 2006. 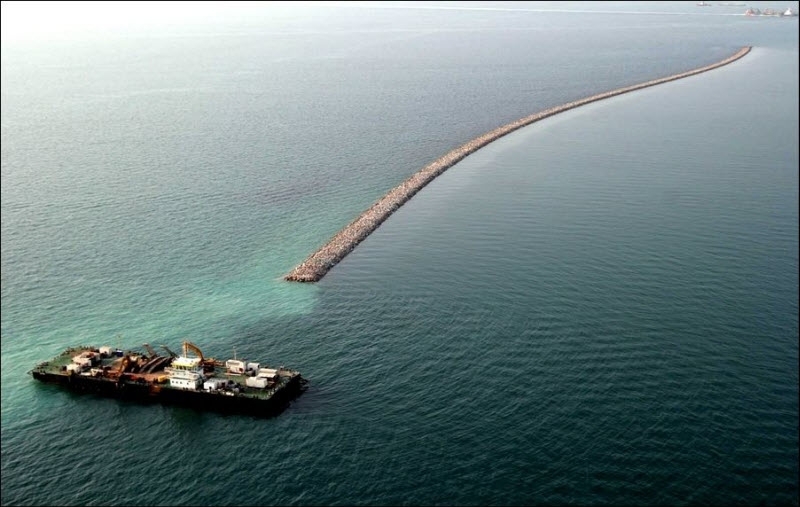 The reclamation project for the Palm Jebel Ali includes the creation of a four-kilometre-long peninsula, protected by a 200-metre-wide, seventeen-kilometre long circular breakwater. 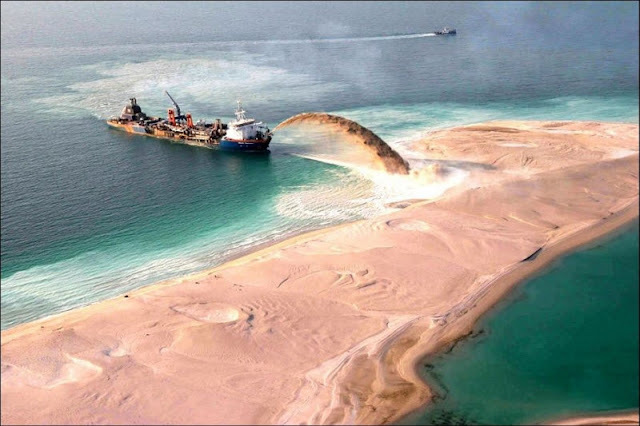 210,000,000 m3 of rock, sand and limestone were reclaimed (partly originating from the Jebel Ali Entrance Channel dredging works). 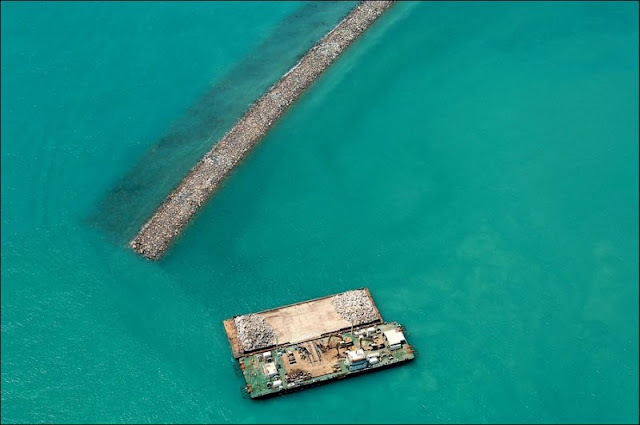 There are approximately 10,000,000 cubic metres of rocks in the slope protection works.